The Obama administration unveiled a new rule Wednesday that will make millions of middle-income workers eligible for overtime pay, a move that delivers a long-sought victory for labor groups. The regulations, which were last updated more than a decade ago, would let full-time salaried employees earn overtime if they make up to $47,476 a year, more than double the current threshold of $23,660 a year. The Labor Department estimates that the rule would boost the pay of 4.2 million additional workers. The change is scheduled to take effect Dec. 1. The move caps a long-running effort by the Obama administration to aid low- and middle-income workers whose paychecks have not budged much in the last few decades, even as the top earners in America have seen their compensation soar. The last update to the rules came in 2004, and Wednesday’s announcement is the third update to the salary threshold for overtime regulations in 40 years. “Along with health care reform, this is one of the most important measures that the Obama administration has implemented to help middle-wage workers,” said Jared Bernstein, a former chief economist for Vice President Biden and a senior fellow at the Center on Budget and Policy Priorities. 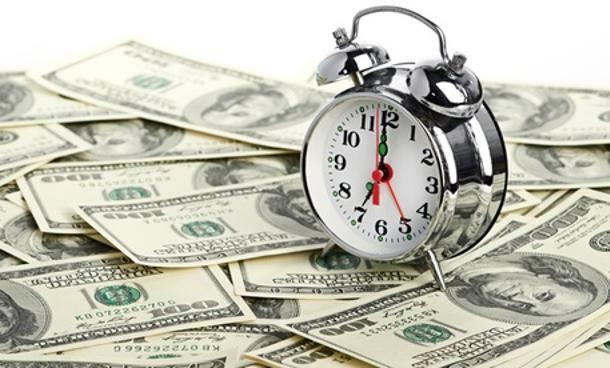 About 35 percent of full-time salaried employees will be eligible for time and a half when they work extra hours under the new rule, up significantly from the 7 percent who qualify under the current threshold, according to the Labor Department. The shift was swiftly criticized by small business owners, nonprofit groups and universities that say they may have to switch some salaried workers to hourly positions to afford the new threshold. And instead of seeing bigger paychecks, some salaried workers may be assigned fewer hours, they said. But some labor groups and unions said the change was long overdue. Many people putting in 50 to 60 hours a week without overtime are actually earning less than the minimum wage when all of their hours are taken into account, they said. President Barack Obama first announced his plans to update the rules two years ago, but some consumer groups say they have been pushing him to alter the rules since he took office. On Tuesday, during a conference call with reporters, Biden said the move matched the president’s other efforts to bolster the middle class. “The middle class is getting clobbered, although I think we’re making some progress here,” Biden said. He added that the administration has also called for equal pay and for raising the federal minimum wage. The Labor Department estimates the change will boost workers’ wages by $12 billion over the next 10 years. And since the new rule calls for the income threshold to be updated every three years based on inflation, the department projects the threshold could rise to more than $51,000 by 2020. But some companies said they may struggle to afford vital staff under the new rule. Employers may decide to scale back some workers’ hours and spread out some of their responsibilities among part-time workers, said French of the National Retail Federation. Other workers may not see bigger paychecks if their base pay is cut to make up the difference, the group estimates. Some colleges said they worried they might have to cut services or raise tuition to keep up with the guidelines. Linda Harig, vice president of human resources for the University of Tennessee, estimates that the university would need to spend an additional $18 million to afford overtime pay for employees who would become eligible under the new guidelines, such as admission staff, hall directors and people with post-doctoral positions. That is the equivalent of a 4.3 percent increase in tuition, Harig said. But supporters of the rule say companies that want to avoid paying overtime may boost workers’ pay up to the higher income threshold. Some workers may still be better off if their schedules are scaled back to 40 hours a week. The administration’s rule would benefit women, minorities and young workers the most, according to estimates from the left-leaning Economic Policy Institute.